The Zwiftcast has a new theme tune! Simon, Shane and Nathan hope you like it. The Zwiftcast trio kick off by rattling through a whole series of info-bombs related to the Zwift platform, including the news that a Virtual Bike Shop will soon be open, allowing users to spend XP points; the decision to include ANT+ on the iOS platform after all and the impact of the big new January influx of users on the platform – could Zwift now be feeling a bit crowded at times? The main feature is a substantial interview with Ed Baker, a former Facebook exec, now with Uber, who is also one of the new private investors in Zwift. Ed is hugely experienced in helping digital businesses to grow and Zwifters will find his thoughts on this subject truly fascinating. After analysing Ed’s interview (Mark Zuckerberg rides a Kickr – who knew!) 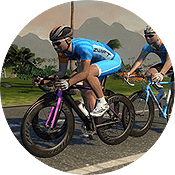 Simon, Shane and Nathan knock around the idea that you may not need to own a big, expensive piece of hardware like a trainer to Zwift in future – what might it all mean? The next feature is the concluding part of Simon’s visit to the trainer manufacturer Elite – with some interesting thoughts about Smart Bikes and the direction of trainer prices. Which leads the chaps on to talk about the continuing difficulties some users are experiencing with the Tacx Flux trainer. Simon’s review of the Flux includes sound tests at various wattage levels, but did he get the problems others, including Shane have experienced? And when is Round Three of Shane Vs the Flux – and how might it be covered? Shane is threatening a live stream with Nathan commentating. . . . 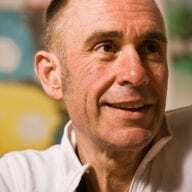 This episode of the podcast concludes with some incredibly valuable advice from pro rider coach Kevin Poulton on how to use Zwift to lose weight. Kevin, who coached popular Zwifter Matt Hayman to victory in Paris Roubaix, gives tips on which workouts will be most effective and explains some of the science behind his advice. The boys conclude with a light-hearted discussion on changing your weight – or even failing to do so (!) – in Zwift. Really nice Podcast! Zpower riders are very persecuted on races, but weight is taking very lightly. In order to been able to finish the 180km challenge i set my weight to 50kg and, oh boy! 5 hours and 17 climbs to BoX Hell. Nathan is such an great guy and it’s doing so good for the racing comunity because of his streaming channel. A lot of new riders come to Zwift because they want to lose weight, i think zwift workouts would been able to help more specifically with weight loss. I haven’t listened to the podcast yet, but the most efficient way to burn calories while riding is probably to sit in zone 2 and just ride a lot of miles as frequently as possible.